During the past three days, the Syrian Arab Army (SAA) and its allies entered up to 40 villages and settlements in the southern provinces of Quneitra and Daraa after militants, mostly members of Hayat Tahrir al-Sham (formerly Jabhat al-Nusra, the Syrian branch of al-Qaeda) and the Free Syrian Army (FSA) had surrendered in the area. A few batches of radical militants and their families, consisting of dozens of buses, already left southern Syria towards the militant-held part of Idlib province. Militants also handed over more than 10 battle tanks to the SAA. On July 23, militants continued surrendering weapons to government forces and leaving towards Idlib. 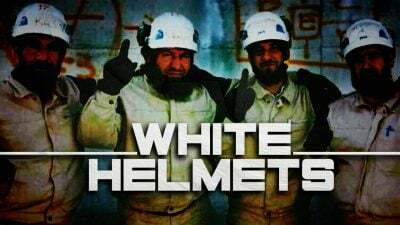 Israel transported several hundred of the White Helmets and their families from the southwestern part of Syria to Jordan overnight July 21, the Israeli Defense Forces (IDF) reported saying this move was “a humanitarian effort” at the request of the US and European countries. According to Jordan’s official Petra state media outlet, the number of evacuated persons included 800 White Helmets members and their families. The IDF claimed Israel engaged in the “out of the ordinary” move due to the “immediate risk” to the lives of the civilians from the ongoing military operation in the area. 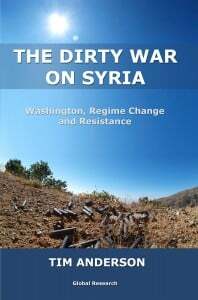 The White Helmets is an infamous Western-backed organization, which according to Syrian, Russian and Iranian governments as well as to independent researchers, has been involved in staging chemical attacks and other propaganda operations in order to assist the US-led block in its attempts to overthrow the Assad government. The organization operates only within the militant-held area, in a close cooperation with Hayat Tahrir al-Sham. One of the most prominent cases of the White Helmets operations is the Douma chemical incident on April 7, 2018, which was used by the US, France and the UK to justify a massive missile strike on Syria on April 14. According to Syrian experts, the key goal of the evacuation of the White Helmets members is to not allow forces of the Syrian-Russian-Iranian alliance to question members of the organization over its activities coordinated with Western intelligences. The repeatedly declared Israeli “noninvolvement” in the conflict continued on July 22 when four senior FSA commanders in southern Syria run away to Israel. Syrian opposition activists identified them as “Moaz Nassar,” the leader of the Golan Knights Brigade, “Ahmed al-Nahs,” a commander in the Saif al-Sham Brigades, “Alaa al-Halaki,” the leader of the al-Ababil Army and “Abu Rateb Nassar,” a commander in the Golan Knights Brigade. Over the past few years, these armed groups have been repeatedly accused by the Damascus government of cooperating with the Israeli military and intelligence. Their evacuation is another sign that Israel and its allies are attempting to hide some of their operations in the war-torn country. Russian forces intercepted at least two armed UAVs over the Khmeimim Air Base on July 20 and 21. Drones were launched by militants from the so-called de-escalation zone area, which includes Idlib and northern Latakia. The continued attacks by militants on the Russian facilities in Syria are only nearing the Russian-backed SAA advance to put an end to this attacks and the presence of terrorists excluded from the ceasefire, like Hayat Tahrir al-Sham, in the area.